A true treat to behold awaits the lucky recipient in this handy willow basket. 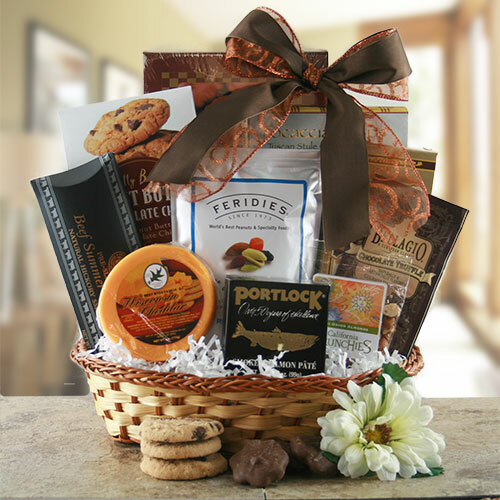 Bursting with cookies, crackers, cheese, snacks and so much more. **Summer Substitution from May 15th-Oct 15: chocolate chip cookies for chocolate cookies, puff pastry & chocolate wafer square cookies for boxed chocolates.